Please feel free to contact any team member by email or phone as applicable to your need. All team members can assist with your staffing or candidacy needs. Please note Theresa Eloundou as ESC’s Virtual office manager who should be contacted for all administrative, accounting and employment verification needs. All other ESC employee’s function both as Recruiters and Account Managers. Theresa Eloundou joined Educated Solutions Corp as the Accountant/Virtual Office Manager in a full-time capacity in October 2013. Theresa enjoys both aspects of these diverse positions. She handles the day-to-day financials and works closely with clients, vendors and contractors assisting with any questions or concerns they might have. In addition, Theresa manages the daily operations of the office working closely with our internal staff. Prior to joining ESC, Theresa was a controller at a manufacturing facility in Waukesha, WI. Theresa holds a Bachelor of Science degree in Accounting from the University of Wisconsin – Milwaukee. As the President and co-founder of Educated Solutions Corp, Kimberly Schmidt maintains a hands-on approach to client retention, candidate sourcing, and customer service. She is actively involved in the day-to-day sales and recruiting efforts of the organization and believes in operating under the core values of respect, honesty and integrity. Prior to founding ESC, Kim was a Business Education Instructor, teaching high school students the skills required to succeed in the workplace. This desire to help people was the driving force behind founding the organization. She is a motivated professional, with an energy and enthusiasm for recruitment that is contagious. Kim’s commitment to hard work and quality has earned her the respect of both clients and candidates. Her number one goal is to provide a personalized approach to recruitment and to utilize creativity in securing quality talent for her clients. Kim has a Bachelor of Science Degree in Education from the University of Wisconsin-Whitewater and a Master of Arts in Teaching from Aurora University. She is actively involved in various organizations and is committed to servicing the community in which she resides. 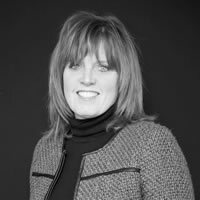 Kelly Holley has been a pivotal member of the Educated Solutions Corp team since its inception. With over 15 years’ experience as an Account Manager and Recruiting Specialist, Kelly is the most seasoned member of our team and a respected leader in recruitment best practices. She truly enjoys both facets of her position, recruiting and client development. Kelly excels at building relationships with job seekers and clients alike and it is no surprise that she has earned recognition as an expert in the staffing industry, maintaining a friendly and approachable style in the execution of her daily duties. Prior to joining ESC, Kelly was a Corporate Trainer with ARI Network Services for five years. She managed three accounts and provided proprietary software training to sales managers and representatives across the nation. This experience has provided Kelly with a keen insight into the inner-workings of companies across a variety of industries and has been a valuable asset in successfully sourcing talent. Kelly holds a Bachelor of Science Degree in Journalism from the University of Wisconsin Oshkosh. Joey Singson joined ESC in March 2014 as a Recruiter/Account Manager. Prior to joining the ESC team, he spent 17 years as an IT Manager where he was responsible for the overall planning, organizing, and execution of all IT functions at a local manufacturing facility. Joey had approached ESC in search of new opportunities in Information Technology and it was during this time that he gained an interest in the staffing industry. With no prior recruiting experience, ESC developed a training program which allowed him to learn all facets of the recruitment process. He quickly learned the fundamentals of recruitment and is committed to making an impact with ESC. He understands technology, technical roles and technical skills and his intent is to build, develop, and maintain lasting relationships with his candidates. Joey is a graduate of Marquette University with a Bachelor of Science in Psychology and brings his depth of experience, technical skills and management capabilities to his current position sourcing and uncovering candidates. Mark Polczinski joined ESC in June 2015 as a Senior Recruiter/Account Manager. Prior to joining ESC, Mark spent 10+ years in a sales and recruiting role for CulverCareers and LexisNexis. He started his recruiting career in 2001, when he joined CulverCareers in San Francisco, CA. There he was promoted several times for exceeding the expectations of clients and candidates alike. He was consistently in the TOP 10% and achieved several awards including Recruiter of the Year. While at CulverCareers, Mark worked as a Recruiter, Assistant Branch Manager, and Branch Manager. 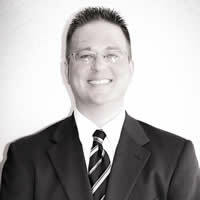 When he returned back to Wisconsin in 2008, he took a National Account Manager’s position with LexisNexis. While at LexisNexis, Mark managed a 1 million dollar book of business calling on the General Counsel level of Fortune 1,000 companies in Wisconsin, Illinois, and Iowa areas. In 2010, Mark missed recruiting and the ability to work with candidates and clients so he rejoined CulverCareers as a Senior Recruiter until 2014. Mark is a graduate of UW-Madison with a double major in Marketing and Management & Human Resources. 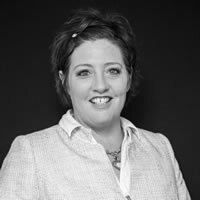 Aimee has been a key member of the Educated Solutions Corp team since 2006, acting as both an Account Manager and Recruiter. In 2015, Aimee opened ESC’s new division, ESC LI, a Light Industrial staffing group that targets candidates and clients in the industrial/light industrial space. She is truly committed to fully understanding her clients and their ever-changing staffing needs, resulting in successful and lasting partnerships. As a Recruiter, Aimee has a passion for helping candidates secure a role that matches their qualifications and salary goals, while providing professional fulfillment. Her ability to build and maintain relationships, has led to a multitude of successful hires and earned her the respect of clients and candidates alike throughout her time with the organization. Prior to joining the ESC team, Aimee worked for 6 years in Pharmaceutical Sales, which laid the foundation for networking, which has helped her succeed in staffing. She is a graduate of the University of Wisconsin Oshkosh with a Degree in both Human Resources and Marketing. Trent Cummings joined ESC in November 2017 as a Recruiter. Prior to joining the ESC team, he spent two seasons as a Quarterback in the German Football League. He got his first experience within talent acquisition when he assisted the GFL front office in recruiting, marketing, and advertising all around the country. The chance to join the ESC team opened doors for him to utilize his leadership and communication skills while helping others find their own opportunities. Trent loves accepting new challenges in the evolving world of recruiting because it keeps him on his toes, and at his best. Trent graduated from the University of Wisconsin – La Crosse in 2016 with a Bachelor’s degree in Communication Studies and a minor in Organizational & Professional Business Communication. Kristin Mianecki joined the ESC team in August of 2018. Prior to joining ESC Kristin spent a decade in the Federal hiring and career management space as a Certified Federal Resume Writer and Certified Federal Job Search Trainer. Working in this capacity, Kristin has helped hundreds of motivated jobseekers secure entry-level all the way through senior executive service positions within the government. She has made written contributions to “The Complete Guide to Federal Career Transitions” and has published several articles to the Forbes.com website as the Community Voice while she served as a member on the Forbes Coaches Council. After 10 years of working in the public sector, Kristin has decided to expand her skills in corporate-world recruiting with ESC. Kristin holds her Bachelor’s degree in Communications from the University of Wisconsin Parkside. Jami joined the ESC team in November of 2018. Prior to ESC, Jami worked for 6 years in the staffing industry. She has worked in many facets of the industry including recruiting, account management and sales. 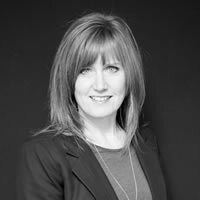 She brings knowledge in the light industrial, skilled trade and professional/technical fields and prides herself on building strong relationships with her candidates as well as her clients. Jami attended UW-Whitewater for Special Education and is proud of her career path in the recruiting and staffing world. Jami enjoys finding creative ways to connect with the community and brings a strong experienced dynamic to the team. Mike Schmidt founded ESC in 1997, but for 15 years worked with ESC as a “side business.” In 2013, Mike began to direct all ESC operations on a full time basis. Mike possesses over 20+ years in the Talent Acquisition world spanning numerous industries including Financial, Technology, and Healthcare. Mike’s strong suit has been Recruitment Process Improvement where he has transformed numerous organizations to streamline process, implement metrics though recruiter scorecards, reduce time to fill, structure interviewing techniques, implement vendor service programs, optimize applicant tracking systems, improve advertising strategies to include Social Media adoption and most importantly heighten hiring manger satisfaction. 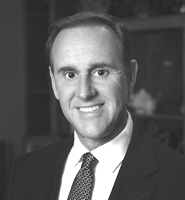 Mike has delivered services to organizations both large, such as Thomson Financial and CDW, and small, boutique IT firms and Healthcare staffing agencies. As Director of Staffing with Ministry Health Care and Affinity Health Systems (2008-2013) his output included exemplary results which decreased budget by 25%, brought time to fill under 30 days for all staff (3000+ hires per year) and optimized the full life cycle of recruitment. Mike holds a Certified Internet Recruiter Status through AIRS, is certified in Behavioral Interviewing through Development Dimensions International Inc., possesses a Double Bachelor of Arts from The University of Wisconsin-Whitewater in English and Communications and will soon hold his Masters of Science in Human Resources from Marquette University. Mike’s primary recruitment system is Taleo, where he holds super-user status and has presented on numerous topics during the annual “Taleoworld” national meeting. Mike consults with numerous ESC clients beyond just contract staffing and always looks to use his experience to improve all things staffing. Jordin joined the ESC Team in October of 2018 as the Recruiting Support Specialist. Prior to joining ESC, she has 7 years’ experience in Logistics, Administrative and Customer Service. In her prior role of Real Estate Logistics Coordinating, she was responsible for tracking dates and deadlines and organizational management which benefited her for her role at ESC today! She loves the challenge of the background responsibilities she possesses in her role at ESC. Jordin graduated from Madison College in May of 2013 with a specialty in Office Assistance. Jenna joined the ESC team in 2018 and serves as the core ESC presence of Illinois. She has spent the past several years educating Business and Culinary students. Prior to her education career, Jenna was a Human Resource Manager primarily focused on recruiting and onboarding new hires for a large food services corporation. This background has provided her invaluable experience in dealing with countless people from all walks of life. Jenna understands the importance of treating each candidate individually by taking the time to understand their motivating factors in order to place them in a fulfilling role which meets their professional goals. She has a sense of urgency and strives to share her energy and enthusiasm with clients and candidates alike. Jenna possesses her Bachelors Degree in Family and Consumer Sciences from Eastern Illinois University.